While Instagram might have felt like uncharted territory in the past, the platform represents major possibilities for marketers today. The numbers don’t lie. According to recent Instagram statistics, brands are hopping on board en masse as the platform approaches 1 billion users. Meanwhile, approximately 80% of Instagram users regularly follow and engage with their favorite brands who are seeing more revenue than ever as a result. However, a major struggle for brands on Instagram has been a lack of in-depth analytics and tracking tools versus the likes of Facebook or Twitter. Growing and scaling is nearly impossible on any social platform without understanding your presence by the numbers, right? Having an Instagram tracker on deck (such as Sprout’s very own) can clue your brand in on some major insights that could potentially transform your social presence. Whether you’re looking for more followers, engagement or revenue, the importance of investing in analytics for Instagram can’t be understated. But what exactly can you learn from an Instagram tracker? What burning questions should your analytics answer? 1. Which Hashtags Should I Focus On? Brands that understand how to use hashtags receive more love from their followers, plain and simple. That said, there’s a lot of room for error and improvement when leveraging hashtags for any given brand. Furthermore, branded hashtags are essential for keeping track of your marketing campaigns. Considering that 7 out of 10 hashtags are branded, creating your own hashtag is also an expectation of modern marketers. Whether you’re trying to figure out which hashtags to use or how often to use them, an Instagram tracker eliminates the guesswork. 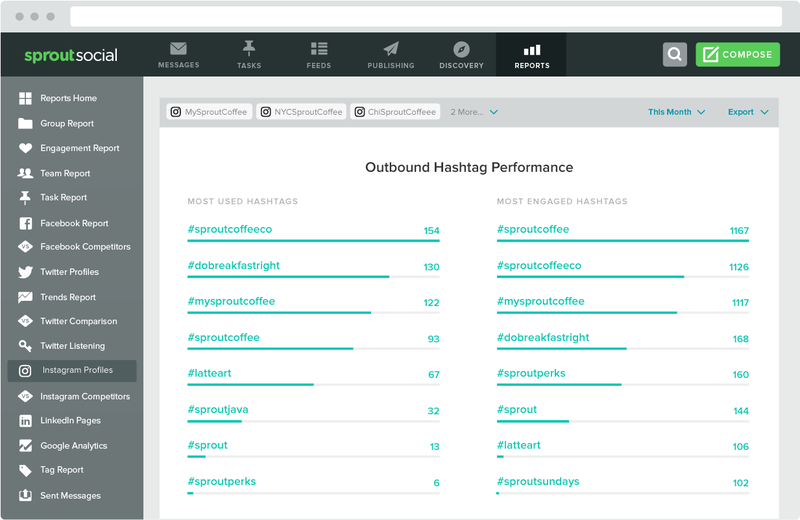 For example, Sprout can inform users at a glance which hashtags are receiving the most love from your audience. From determining which types of tags resonate most with your followers to avoiding using the same tags again and again, an Instagram tracker keeps you from playing guessing games. In other words, you always know which hashtags to use based on your business’ data. 2. What the Perfect Time for My Brand to Post? Time is everything when it comes to social media. This rings true when determining what time of day to post and how many unique photos you should push per day too. Perfect timing is a two-way street, though. Posting infrequently means fewer opportunities to engage your followers and bring in new ones. On the flip side, posting too often could label you as a spammer. 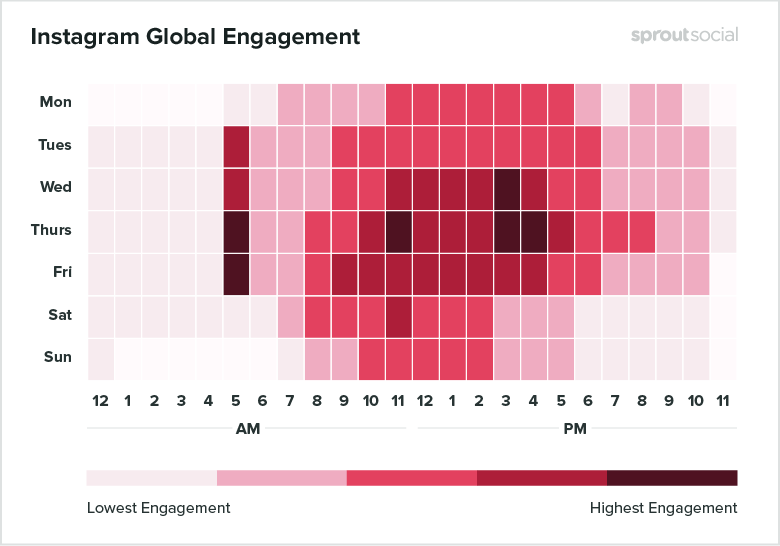 Finding that sweet spot in terms of frequency means understanding the best practices of your industry and the best times to post on Instagram, respectively. But what does “ideal” timing and frequency look like for you? With the help of an Instagram tracker, you can experiment yourself and see what times your posts typically garner the most engagement. 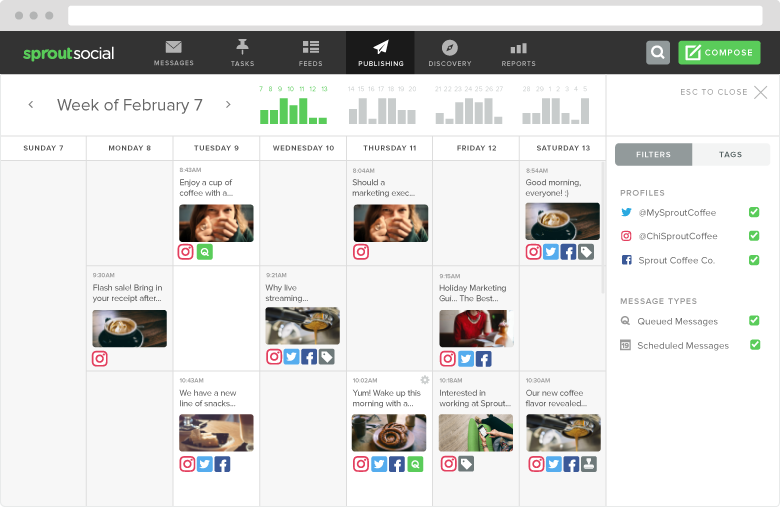 Furthermore, Sprout’s Instagram scheduling better ensures you can stick to a timing schedule without sweating about being glued to Instagram 24/7. 3. Which Types of Posts Are the Most Popular? In terms of the types of content you can publish on Instagram, there’s often much more than meets the eye. While Instagram might be viewed as little more than a place to post memes or snapshots of cocktails, it’s a prime platform for promotional content. In fact, Instagram users spend the most on products purchased through the platform versus any of the other major social site. Of course you can’t just go blasting product photos and expect traction. Brands are expected to diversify their content accordingly. With the help of an Instagram tracker, brands can hone in on the exact promotional posts that win over followers. At the same time, you can phase out non-performing post types and only focus on what’s driving your engagement upward. For example, user-generated content is absolutely crushing it right now as regrams are among the most popular types of posts on Instagram. Analytics are key to effective UGC campaigns as you determine who your brand evangelists are, what types of posts get people talking and what products are most popular on Instagram. The same rules apply to other types of content including text-based posts, contest posts, videos and everything between. Again, the possibilities on Instagram are seemingly endless. That’s why keeping stock of your content is so important. While hashtags and frequency are easier to break down by the numbers, the type of content you post requires a strong sense of awareness. Maybe over time you learn that your followers are in love with selfies. Perhaps you text-based motivational content gets the most “likes.” Either way, an Instagram tracker can paint a clearer picture of what’s performing and what’s not by tagging your campaigns and tracking them accordingly. 4. What Do My Followers (& Competitors) Actually Look Like? Ask yourself: how well do you really know your Instagram followers? What about competing brands in your space? When you’re running multiple social platforms, keeping track of your followers and competitors alike can feel like an uphill battle. With an Instagram tracker and keen attention to your analytics, the task becomes much, much easier. For starters, don’t assume that your followers on Facebook or Twitter are the same as your followers on Instagram. After all, you don’t want to simply repeat the same posts over and over across all of your social platforms, right? That’s why having content tailored exclusively for Instagram is always a plus. 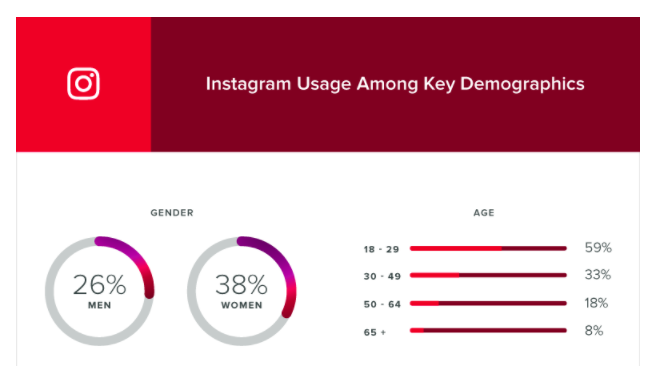 Also, users on Instagram tend to skew younger and female according to demographics data, which might, therefore, influence what sorts of content you push to the platform. And finally: what about your competition? Although chasing your competition’s follower count shouldn’t be a total rat race, it does help to understand where your numbers stack up against each other. 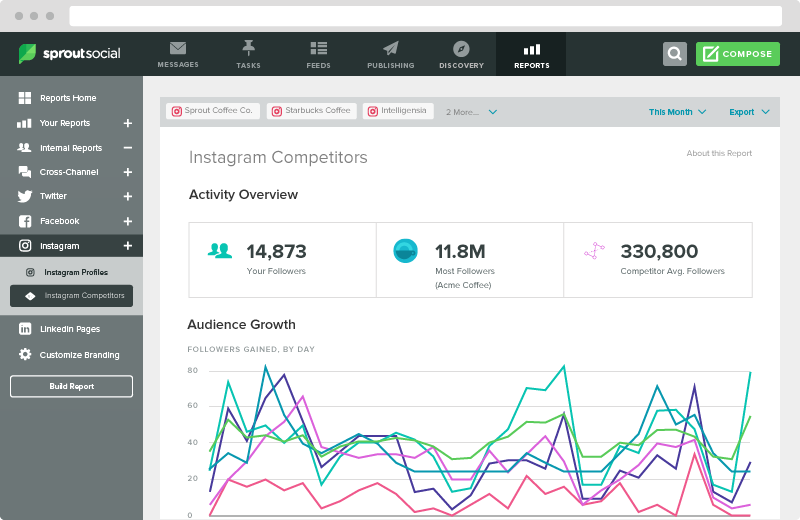 An Instagram tracker can help you keep an eye on competing accounts without totally obsessing over them. 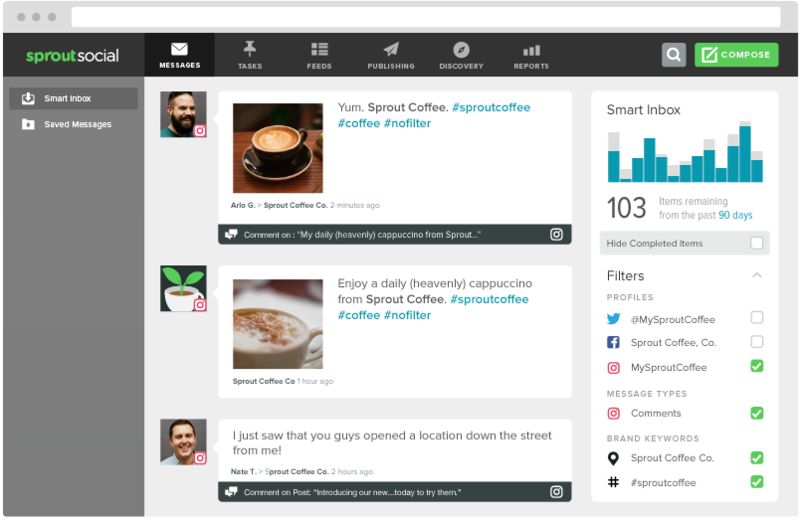 Sprout’s Instagram competitors report allows you to “spy” on what the competition is doing, and identify potential opportunities for your own brand. 5. How Are People Engaging With Your Posts? Last but not least, with engagement being one of the key pieces to Instagram’s algorithm, you need to track comments and likes. The more often people engage with your content, the more likely you’ll be to pop up in their feeds. But don’t just stop there. Make sure you’re taking the time to reply to any comments you receive. 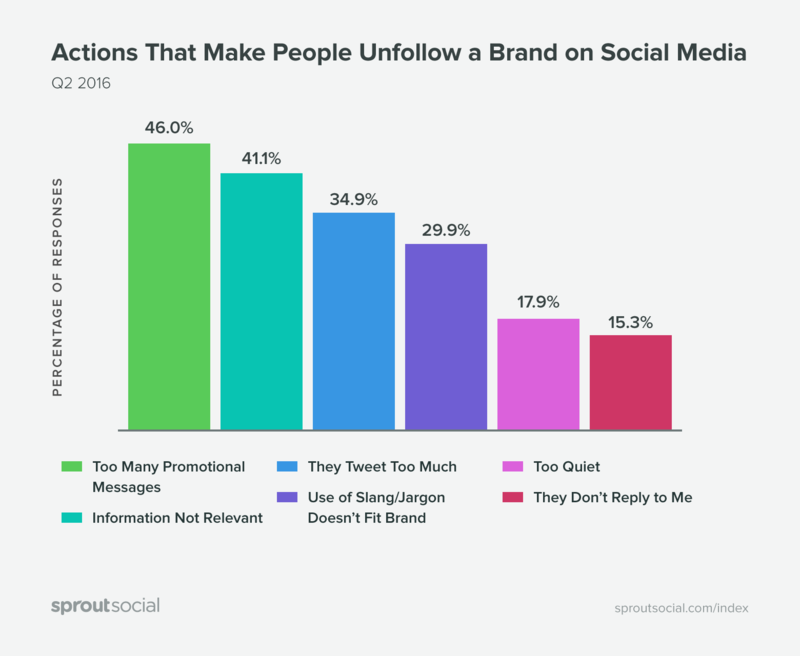 According to one of our surveys, 15% of consumers will unfollow a brand if they fail to reply to their messages. In order to avoid losing followers due to unresponsiveness, use Sprout to reply to Instagram comments on desktop or our mobile app. One of the biggest advantages to using Sprout to track Instagram comments versus replying directly on Instagram is you have all of your comments in a single stream. 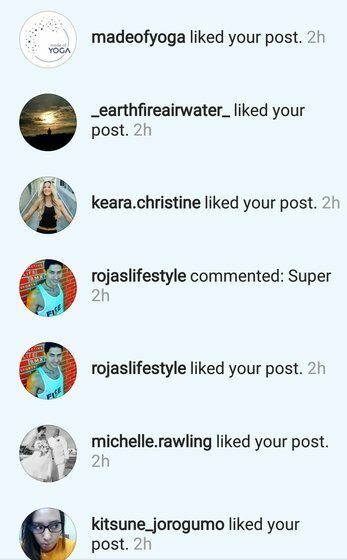 On Instagram, incoming comments are mixed in with all your other notifications like new followers or likes. And Instagram only shows your 75 latest notifications. So if you get a lot of likes and new followers, you can easily miss new comments, especially on older posts. 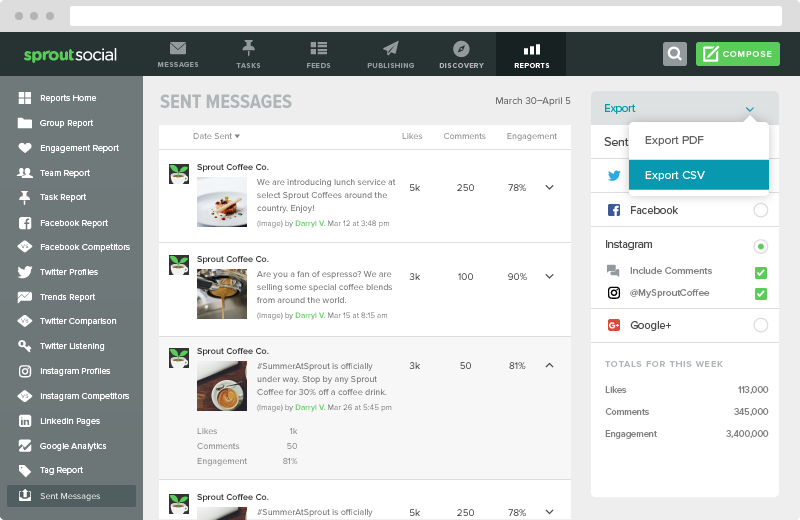 With Sprout, you can filter engagement to just show all your comments. Then you can reply directly within our app and mark messages as complete so everyone on your team knows they’ve been responded to. Are You Using an Instagram Tracker to Fine-Tune Your Social Presence? Even though the platform is still relatively young, your Instagram presence shouldn’t be covered in question marks. Long gone are the days where marketers can treat Instagram as a sort of “great unknown.” Through analytics tools and monitoring metrics, we can better glean what types of content encourages new followers, when to post it and how often to push out new content. If you aren’t using an Instagram tracker, there’s a good chance you’re flying blind in terms of your social presence. Instead, take control and fine-tune your posts based on data versus guessing. Start by signing up for a free trial of Sprout to experience how beneficial an Instagram tracking tool can be for your brand. 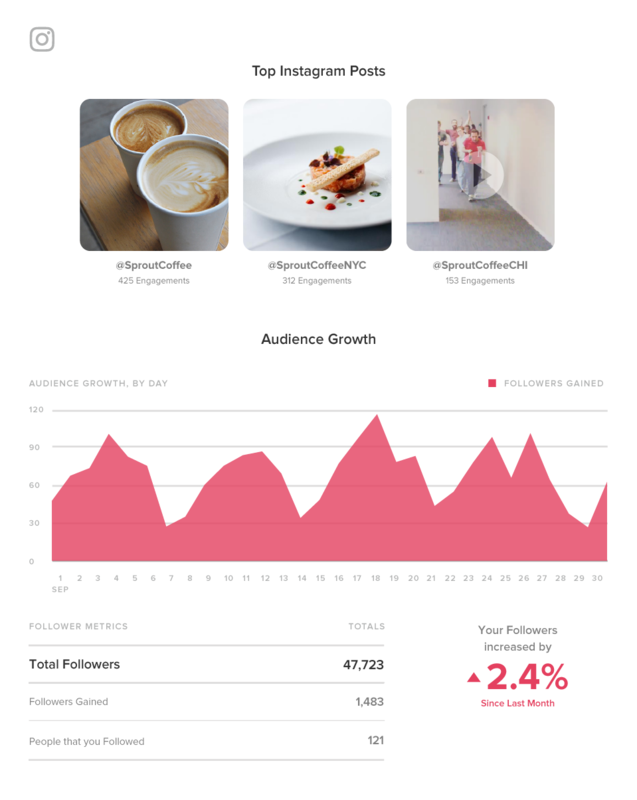 For those of you who’ve been sleeping on Instagram analytics, what’s been holding you back? What’s your biggest struggle when it comes to locking down your Instagram presence? Let us know in the comments below.